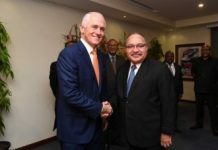 Australia and Afghanistan are celebrating the golden jubilee of diplomatic relations this year as both sides are looking forward to strengthen their relations for a secure, stable and prosperous Afghanistan. 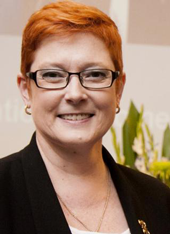 “Since relations were established on 30 March 1969, Australia has stood as a staunch friend in difficult times, assisting Afghanistan in the face of significant security threats”, Foreign Minister Marise Payne said in a statement on the 50th anniversary of establishment of diplomatic ties with Afghanistan. 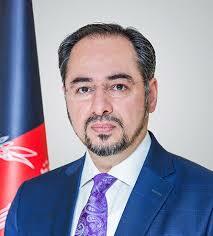 Afghan Foreign Minister Salahuddin Rabbani while acknowledging the crucial role of Australia to bring stability in Afghanistan said that Australia has been an indispensable partner in the int. community’s engagement for a secure & stable Afghanistan. Over 25,000 Australian service men and women have worked to support Afghanistan in its battle to eradicate the threat of international terrorism and extremism since 2001. “The 50th Anniversary of Afghanistan-Australia relations is a momentous occasion. We’re deeply grateful. 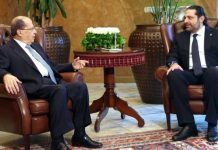 Our relations continue to strengthen & expand to new heights”, Rabbani said in his message. Acknowledging the sacrifices of Australian, Afghan and Coalition military personnel, and civilians, Marise Payne greeted the Afghan Government on its many achievements since 2001, including its efforts to successfully enrol millions of children into school. 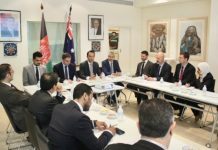 Australia is providing an estimated $80.2 million Official Development Assistance (ODA) to Afghanistan in 2018-19. Australia has provided more than $1.42 billion in ODA to Afghanistan since 2001. She also commended the efforts to bring a peaceful end to the long standing conflict in Afghanistan and hoped that Afghanistan would continue its march toward peace and prosperity. Afghan Ambassador in Canberra Wahidullah Waisi in his message said that 50th anniversary of relations brings the opportunity to emphasize on quality of relations by enhancing all aspects of bilateral relations, especially in the fields of business, economics, culture, science, education & people to people contact.